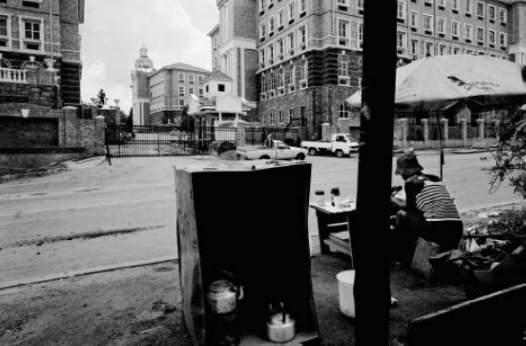 David Goldblatt, Waiting to sell food to Construction Workers from 93 Grayston Office Park, Sandton, Johannesburg, 14 November 2001. C-Print 61×75 cm. Downey, Anthony. “Curating Africa: ‘Africa Remix’ and the Categorical Dilemma.” Wasafiri 45.2, 2005: 47-55.